[Felix Rusu] is fast becoming a big name in home automation with his clever Moteino systems. His latest is called the SwitchMote which is a super easy way to upgrade your light switches for home automation, and he’s just released the source! The SwitchMote is a drop in wireless light switch which lets you control a standard AC load, limited to 100W at this time. It uses a solid state relay (SSR) to perform the switching, but like any project involving mains electricity… MAKE SURE YOU KNOW WHAT YOU’RE DOING! It makes use of a Moteino (duh) which is a wireless Arduino clone that operates over RF. We’ve seen it used before to control a Keurig coffee maker, operate a garage door over the internet, and even text you when your sump pump fails and your basement is about to flood! Excited? Take a look at his GitHub repository, and check out how it works in the following video. Need to Reference the US Constitution Fast? How’s 6 Seconds Sound? Well, unless you know exactly what you’re referencing it’s going to take you a lot longer, but this clever serial receipt printer hack will let you print the whole darn thing in just 6 seconds! Commissioned by [Jeff Goldenson] for his LABRARY.bike (quite literally a pop-up library on a bike), it was actually shown off at SXSW Interactive — did anyone see it in person? The artist-hacker who created it is [Thibault Brevet], the guy who brought us the DRM chair that only works 8 times before it falls to pieces. Anyway, this cool and rather suspicious looking tube with a serial cord hanging out contains an Arduino, a max232 chip and a small Li-Po battery. The Arduino communicates with the printer through the max232 chip by converting the TTL signal to RS-232. It has a single button on top, which when it is connected to the printer will send out the US Constitution over the serial interface via ESC/p language. Did we mention how fast it is? A few days ago Hackaday visited NOVA Labs, one of the premier hackerspaces around Washington, DC. In our video tour, co-founder [Justin Leto] shows off the space, going through all the awesome tools, workspaces, and projects his space has put together over the years. One of the most impressive parts of NOVA Labs is the incredible amount of woodworking equipment. Everything from a Blacktoe CNC router, table and bandsaws, jointers, planers, real woodworking benches, and enough clamps to hold anything together are from a NOVA member that is co-locating his equipment for the rest of the hackerspace to share. Apart from the woodworking tools, NOVA also has a few laser cutters and enough 3D printers for all the octopodes and Yoda heads you could ever imagine. A few of the members put together 3D build classes, and the machines being constructed are very, very cool. They’re using a Raspi with OctoPrint in their latest builds, attaching a camera to the frame and using a tablet for the interface. It’s just about the smoothest and cleanest 3D printer interface possible without using a computer. There’s a lot of cool stuff happening at NOVA; the DC Area Drone User Group is the area’s largest group of unmanned aerial vehicles not housed in a five-sided building, and have done some aerial mapping for the metro station that will soon displace the hackerspace. NOVA also hosted a mini maker faire last weekend with over four thousand attendees. Impressive, to say the least. Also at NOVA Labs is a small business the guys are incubating headed up by [Bob Coggeshall], also known as one of the guys who wrote sudo. It’s Small Batch Assembly, a very cool service that takes panelized PCBs and reels of components and assembles them. While we were there, [Bob] was assembling a few dozen boards stuffed with WS2812 LEDs for the R2D2 Builders Club. [Bob] is using a very cool and very expensive Manncorp pick and place machine for placing all the components, squeegeeing the solder paste through Kapton film he laser cut on the NOVA Labs machines. It’s only a small-scale operation, but when it comes to placing thousands of SMD components for a few dozen boards, there probably isn’t a better way. You can check out the video of NOVA, Small Batch Assembly, and a whole bunch of pics below. [Scasagrande]’s USB Wrapper gives you options. You can set it to Dedicated Charging Port, Sony, Open Circuit, or Apple. The super-cool part of this hack is for you Apple fanboys. The bottom slider lets you emulate any Apple charger and use any USB cube (including one you may have made) as long as you have that funny cable in your messenger bag. The hardware is open source and available at [Scasagrande]’s repo. Make the jump to see [Scasagrande]’s nicely detailed video about the project. At one point in history, blueprints were actually blue. Now, if you even see a dead tree version of plans or assemblages, they’re probably printed off with a plotter or large format printer. You can, however, make your own blueprints at home, as [Tyler] shows us in his Hackaday Project. Back in the olden days, master drawings were traced onto large sheets of transparent film. These master prints were then laid over paper prepared with Potassium Ferricyanide and Ferric Ammonium Citrate to create an insoluble Prussian Blue background for the prints. Developing is easy – just expose the transparent positive and undeveloped paper to UV light, in the form of fluorescent bulbs or the sun. 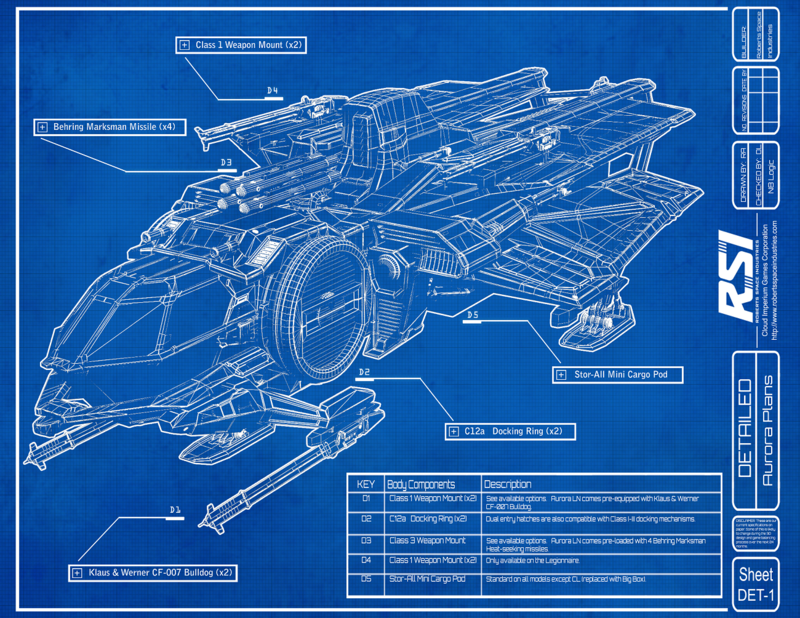 [Tyler] began his blueprint creation process by getting a few design sketches of the RSI Aurora and Nautilus, editing them on a computer, and printing them out on transparency sheets. A solution of equal parts Potassium Ferricyanide and Ferric Ammonium Citrate were painted onto a piece of paper and allowed to dry. Exposing was a simple matter of laying the transparency over the undeveloped paper and setting it out in the sun for 20 minutes or so. After that, it’s a simple matter of washing off the unexposed chemicals and letting the newly created blueprint dry. It’s a simple technique, but also very, very cool. Not exactly practical, given a plotter can spit out an architectural or assembly drawing of any building, vehicle, or device in a few minutes, but just the ticket for art pieces or extremely odd engineers. Thanks [Sarah] for sending this in.